This book provides step-by-step instructions and tips on how to design, optimize and publish your own website. It's suitable for everyone – from beginners to advanced users. Step by step to your own website. 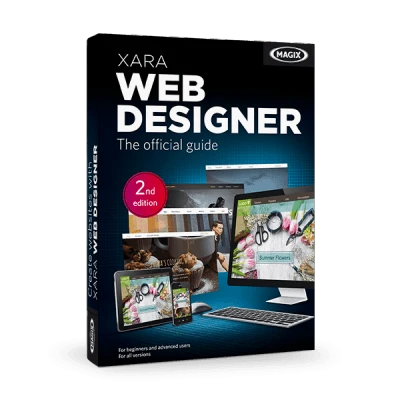 This book provides you with all the relevant information on how to design, optimize and publish your website with Xara Web Designer. The useful tips and screenshots featured in this book will help you get your Internet presence up and running in no time. The book includes 14 informative chapters written in a clear yet descriptive style. Sascha Daniel holds an M.A. in International Cultural and Business Studies, has worked as a journalist in the field of multimedia for many years and is an expert in photo, graphics and web design at MAGIX. Roland Ziegler holds an M.A in German Philology and Philosophy, and has been writing manuals for MAGIX since 1999. He has years of experience with this software and its versatile applications. The direct connection to the magix.info Multimedia Community makes it easy to find detailed information on how to solve any problems you might have. Simply write your question in the program and upload it directly.